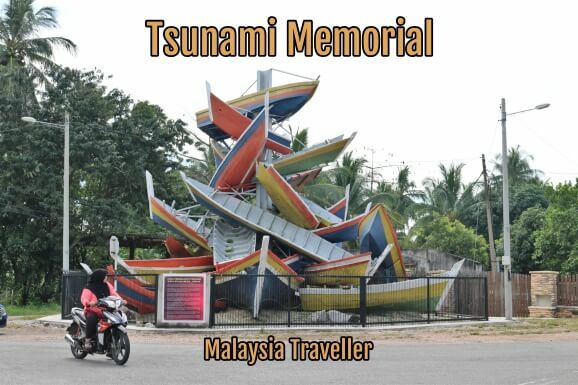 The Kota Kuala Muda Tsunami Memorial and the next door Tsunami Gallery are poignant reminders of the devastating tsunami which took place on 26 December 2004 following a powerful 8.9 magnitude earthquake off the coast of Sumatra. 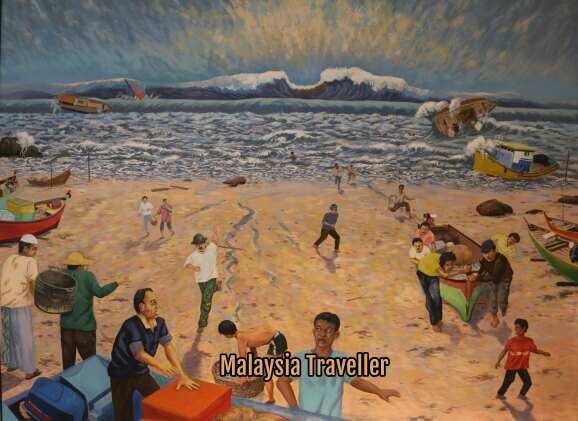 The huge waves triggered by the earthquake reached six metres high and deluged coastal areas in Indonesia, Thailand, Sri Lanka, India, Maldives and Myanmar as well as parts of Malaysia, claiming thousands of lives. High waves must have crashed through this beachfront property. 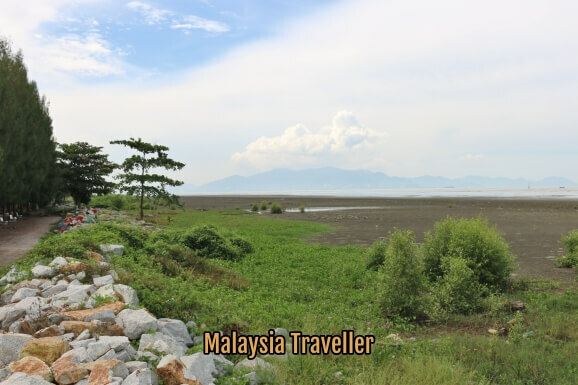 The coastal plain at Kota Kuala Muda offers little protection against tsunamis. 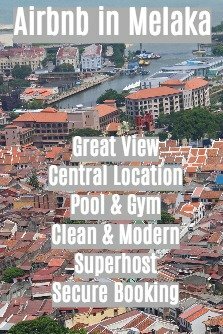 You can see Penang island in the background. 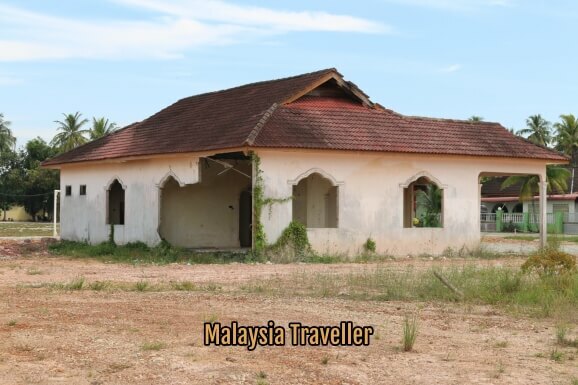 The Kota Kuala Muda region of Kedah was the worst-hit in Malaysia with 10 villages devastated while some coastal areas of Penang, Perlis and Selangor were also affected. 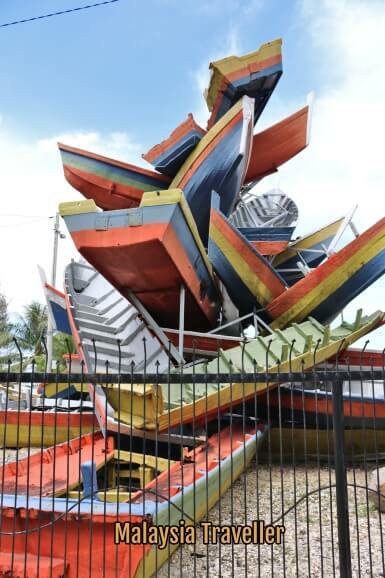 This monument commemorating the event was constructed using 26 fishing boats which were damaged by the waves. The number 26 signifies the date 26 December 2004. Next to the memorial is a row of damaged houses behind a wall which have been left in their wrecked condition as a reminder of the powerful forces of nature. 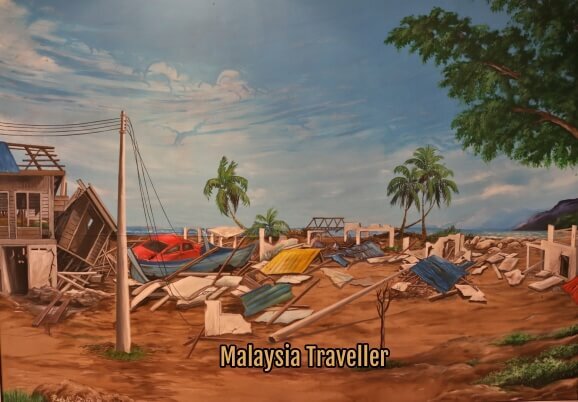 A small museum next door called Galeri Tsunami contains information about tsunamis in general, how they are caused and the damage suffered in various countries around the Indian Ocean in the 26 December 2004 tsunami. Warning - some of the graphic photos of corpses and injuries left in the wake of the tsunami are harrowing. 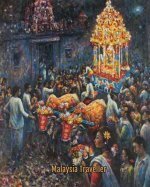 Below are some of the less disturbing photos and murals. 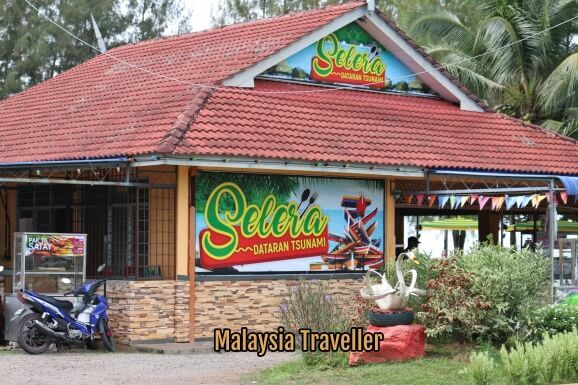 Open daily from 8.30 am to 6 pm. 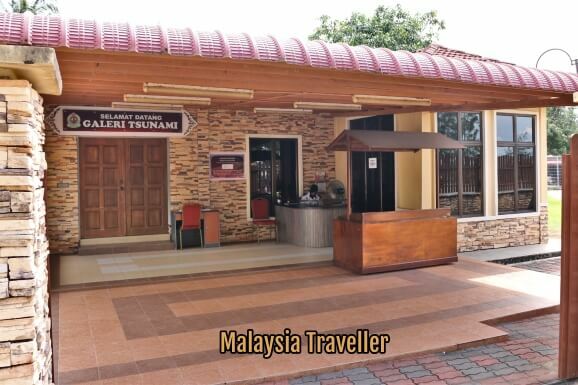 The open area and restaurant in front of the memorial now has a new name, Dataran Tsunami. Kedah is a beautiful part of Malaysia and it is a pleasure to drive through the rice paddy fields and tranquil rural scenery. On the way to Kota Kuala Muda I saw three snakes at different times (on the road).